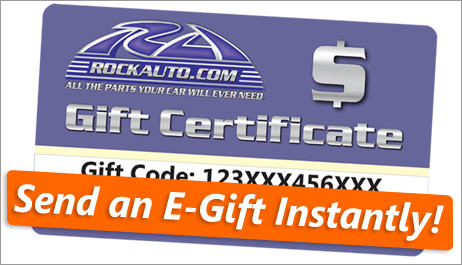 A RockAuto Email Gift Certificate would make a fantastic last-minute gift! E-Gift delivery is immediate and free. Simply choose the Email format and your friends and family will receive the E-Gift in their inbox. Last edited by RockAuto; 12-20-2018 at 06:15 PM.